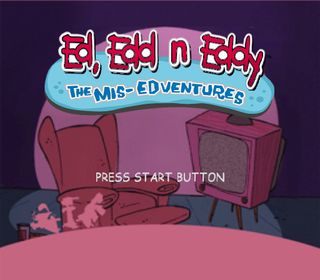 Ed, Edd n Eddy: The Mis-Edventures was the Eds' jump into 3D. The results are awkward, to say the least. 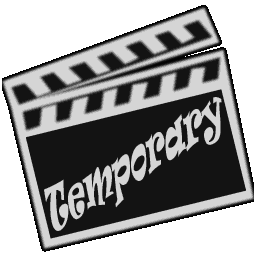 A clapperboard saying "Temporary" found in GLOBAL.PS2, obviously as some sort of placeholder. The PS2 version has a bunch of unused .bik files. A 3D version of the show's intro. It was probably left unused for the better, considering the faces they make at the end. An unused menu. It is dated 3/19/2005, one of the earliest on the disk. Several unused logos: one for Cartoon Network Interactive, one for WB Interactive Entertainment, and two for Artificial Mind and Movement. MUTEMP.INT is the song Go Daddy O by Big Bad Voodoo Daddy. It was most likely a placeholder. Engine.ini is a leftover engine settings list. It doesn't seem to be checked at run-time; rather, its contents were compiled into the executable. This page was last modified on 7 February 2016, at 15:37.